A unique art installation was unveiled, during the Centennial celebrations for the Ukrainian Orthodox Church of the USA, the weekend of July 27-29, 2018 at the Metropolia Center in South Bound Brook, NJ to commemorate the event. The campers and staff of Diocesan Church School Camp and Teenage Conference (two of our long-running summer ministry programs), loving crafted hand-painted and sequined sunflowers under the leadership of the director of Consistory Office of Youth and Young Adult Ministry Mrs. Natalie Kapeluck-Nixon. One hundred sunflowers were created for a dual purpose; firstly, to visually represent each year of existence of the UOC of the USA in the United States. Secondly, to honor our ancestors' journey from Ukraine to a New Land. The project was installed in front of the Ukrainian-American National Veterans Memorial on the front lawn of St. Andrew's Memorial Church. The sunflower is closely associated with Ukraine’s landscape and cultural ethos. 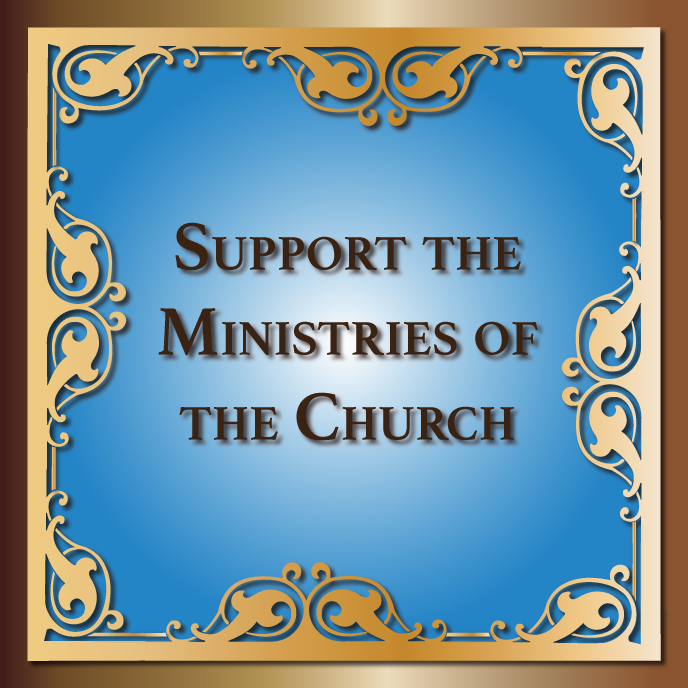 It seemed a fitting choice for the artistic endeavor undertaken by the youth of the church. This was just the first of two installations created by the campers. 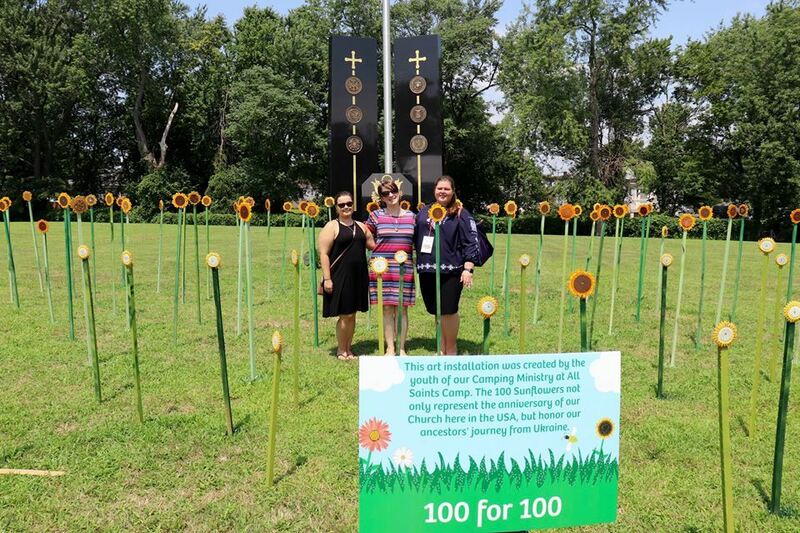 In addition to the sunflower field, they created sixteen distinct crosses that will be added to the prayer trail at All Saints Camp. This second installation will take place during the Centennial Celebration at the camp over Labor Day Weekend. The crosses will be added to a special section of the trail called, the Hill of Crosses. 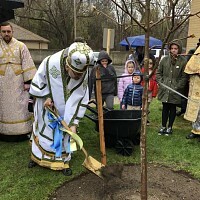 All involved with the project are deeply honored for the opportunity to share in the Centennial celebrations in such a special way and are grateful for the support and blessing of our hierarchs, His Eminence Metropolitan Antony and Archbishop Daniel.